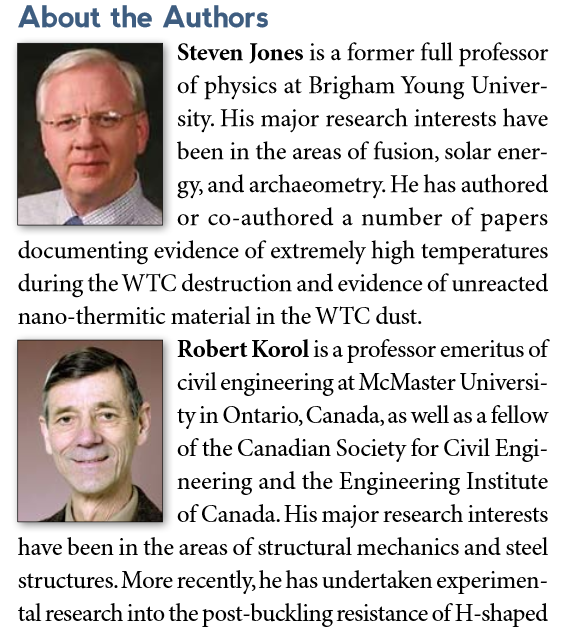 First thing to clear up would be that these claims were not actually published in The European Scientific Journal at all, or any scientific journal for that matter – rather they came via a feature article titled ’15 years later: on the physics of high-rise building collapses’ in ‘Euro Physics News’ magazine, which is not a scientific journal. It’s a news magazine, as the title suggests. 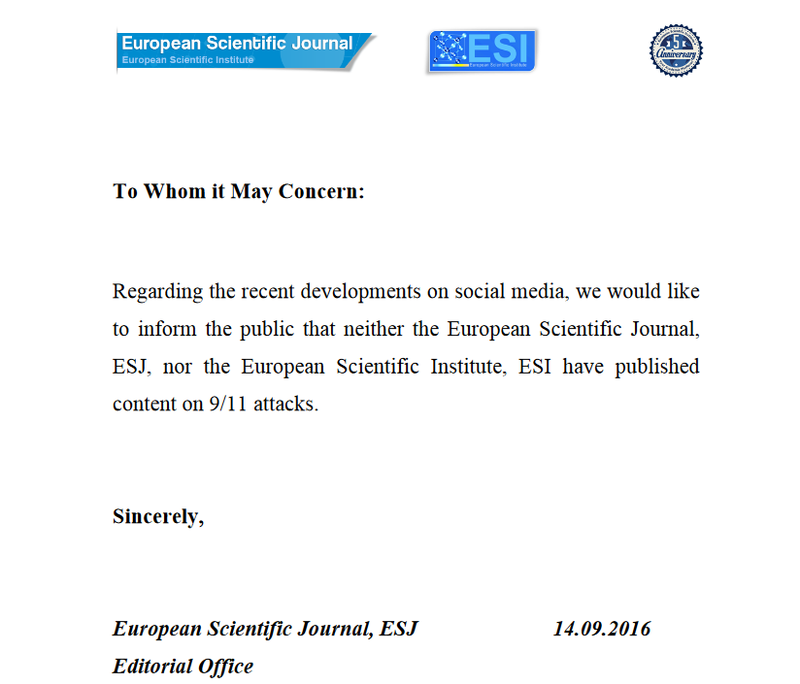 They are also not affiliated with ‘Europhysics News’ in any way. So, what are we left with then? And who exactly are the authors of this featured article? What do all these individuals have in common? Well, unsurprisingly they are all members of, or affiliated with 9/11 ‘truther’ movements. This is essentially the equivalent of asking a group of creationists, who also happen to be scientists, whether there is any evidence for intelligent design. A qualification a good scientist does not make. The ‘evidence’ these authors presented is the usual collection of debunked tropes which didn’t take long to be debunked yet again (again again). There is nothing new here whatsoever. 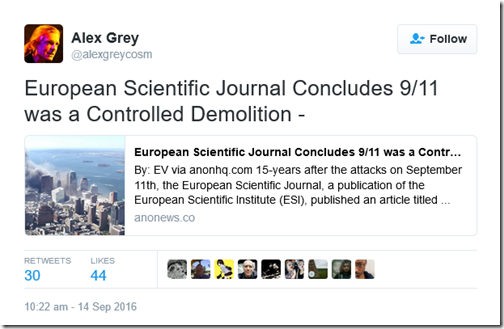 Europhysics News have published a pseudoscientific article of previously debunked 9/11 tropes to coincide with the 15th anniversary of the atrocity in a cynical attempt to maximise their publication’s exposure. This has then been miss-sold as a scientific journal by media and commentators alike. 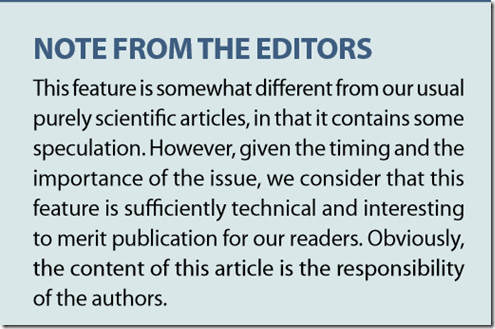 Although not a scientific journal, Europhysics News magazine is a reputable publication owned by the European Physical Society and associated with EDP Sciences. I will be contacting the various affiliates in the coming days to ask for a statement. 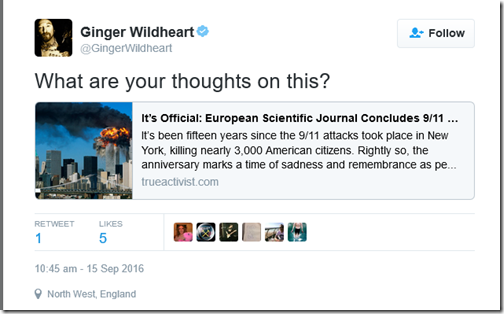 Shame on Europhysics News for lending a semblance of credibility to disrespectful, conspiratorial nonsense. Help spread some actual truth about this atrocity. It’s too important not to. 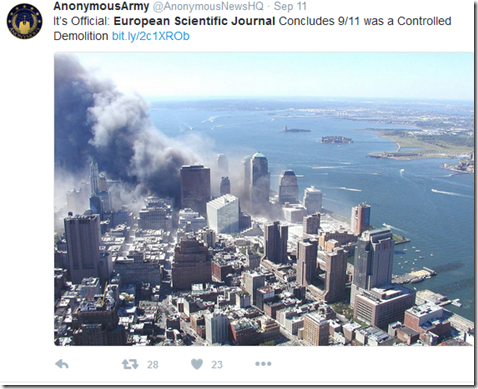 Click here for some resources on 9/11 conspiracy theories. 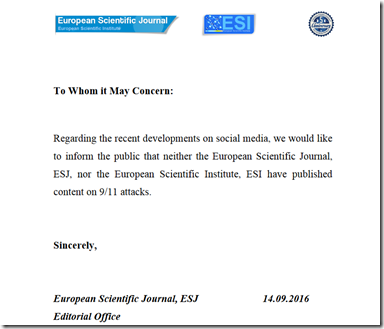 UPDATE 22 Sep 2016 – EDP Sciences, the organisation who owns ‘Europhysics News’ has released a statement in response to this article. You can read it here. 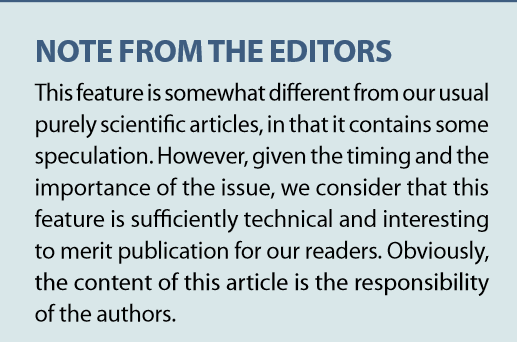 In short, they have confirmed this magazine is not peer-reviewed and contains ‘speculative’ claims. They have announced they will publish a counter-argument in the next issue (Nov). Please join my mailing list to be informed of any follow-up posts on this. 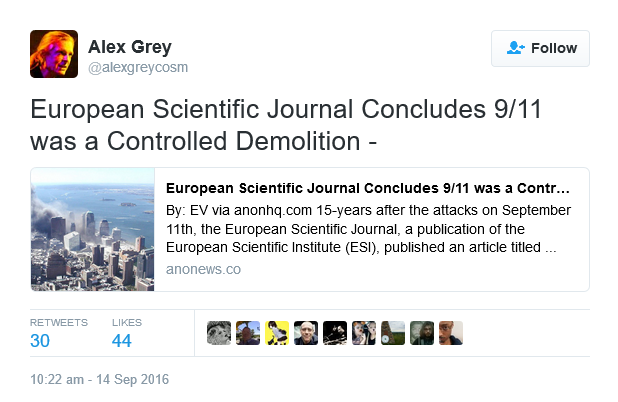 I’m glad to see someone speaking out about yet another absurd “study” coming out and trying to claim 9/11 was a controlled demolition. Whenever I ask those people how it was possible to plants thousands of pounds of explosives, strategically throughout a huge occupied structure, without anyone noticing, they won’t answer me. It’s amazing the number of unrealistic people there are in the world. The whole fire induced natural collapse scenario forces the theory that all you need is a failure of the core columns on a floor or two. It does not follow that you would have to “plant thousands of pounds of explosives, strategically throughout a huge occupied structure”. All that is required, according to your own theory, is to induce failure on one floor. You can’t have it both ways. As it happened, there was work going on for months in the elevator shafts, which happen to be adjacent to the core columns, so there is no issue with people noticing, it’s a complete non-issue. After the ’91 bombings engineers were saying that had the truck been parked in a “better” location the whole thing could have been brought down back then. The issue is with the collapse starting at the top. If it was initiated at the bottom, there is no need to have more than one person involved or even particularly careful placement of the charge. The design of the twin towers was revolutionary, they did not rely on central columns for the stability but used an outer latticework. This design allowed for very large open plan office floors, with no obstruction such as columns. This was criticised by the Institute of Civil Engineers report when the design was peer reviewed. The report (Circa 1963) stated that damage to the external structure could cause instability. On social media, I find it quite unbelievable that there are so many structural design engineers are working in other lines of employment rather than their chosen field of expertise. Then there seem to be a similar number of demolition experts with contacts in the military, not only the military but those within the black ops scene. I do hope that these struggling genius find the time to move from their menial jobs to the upper ranks of chartered and professional civil, structural and demolition engineers that they so clearly are destined to hold. I’m beginning to wish I didn’t bother scratching this particular itch… After a week of reading round the subject I really am starting to wonder if the kooks might be on to something… Do me a solid GS, restore my faith in humanity and signpost me to a decent peer reviewed paper to set my mind at ease! On building 7 collapse. At first blush it looks exactly like a controlled demolition so logically someone somehwhere must have bothered to do the maths to prove it wasn’t and explain why it fell? I’m also trying to workout what made building 7 collapse in a free fall type fashion? Some tin-foil hat wearing idiots are saying that it collapsed due to sheer shock and fear while watching its taller, older siblings detonate? Please educate these morons and put this all to rest. That’s not really ‘evidence’ – that’s a hypothesis, a seemingly unfalsifiable one at that. ‘Intelligent design’ typically refers to the belief that the fingerprints of a creator deity can be evidenced in nature through scientific observation. That’s the usage I had in mind when referencing it. My TV has intelligent design, however the human race, along with all other species of life on Earth, evolved and is constantly evolving. Thanks GS but again there is very little about the building 7 collapse on this site. There are a couple of questions addressing the controlled demolition theory but nothing even attempting to provide an adequate alternative explanation…? What about the collapse are you struggling with? I guess that I’m primarily struggling to understand what the ‘official explanation’ even is (or how it works). Office fire still seems hard to square with the visual evidence. Given the evidence of significant damage in the south west corner you would think that this might have lead to a partial collapse on one side, at least to begin with. I appreciate that a lot of focus has been put on the unlikely physics of various events but for me the mathematics seem at least as significant. The probability of two damaged buildings collapsing as symmetrically and as quickly as they did are pretty astronomical but three…? Don’t want to sound like a kook but surely you’re basing your belief on more than what that site has to offer? Yes. Official reports. Prolonged fires caused by debris brought the building down. See the wiki page for World Trade Center 7 and follow the citations. Ockham’s razor essential here. 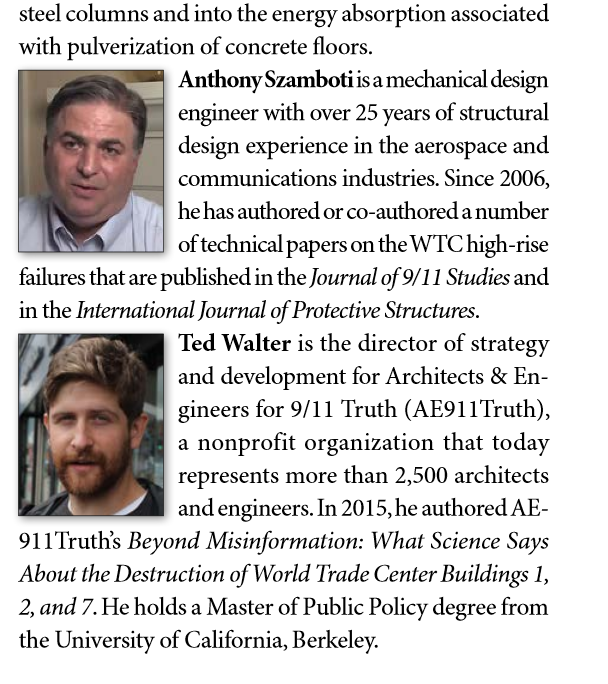 Never understood the interest in building 7. We have perfectly logical and plausible explanations. Seems incredulity is your issue here. When fires rage in buildings to this degree (combined with the energy of an impact and large amounts of jet fuel), collapse is to be expected. Thanks. If it’s incredulity, then I guess it has more to do with inability rather than unwillingness….. I want to believe the offical version but would suggest that ockham’s razor is entirely the problem. In all fairness, collapse due to fire is not to be expected and is in fact entirely unprecedented. I’ve just read the wiki page and it actually discounts the significance of structual damage and jet fuel etc…? I acknowledge that I haven’t read every citation but have yet to find a secondary or neutral source that backs up the NIST report which seems to be the main basis for the office fire theory. I had hoped you were basing this on more than that. The fact that they wouldn’t let anyone independently peer review their finding strikes me as extremely dubious so if we’re saying that ockham’s razor applies then office fires still seems to be the less likley explanation. In all fairness, collapse due to fire is not to be expected and is in fact entirely unprecedented. So is two passenger planes being purposely flown into high rise buildings, but I’ll assume we are just talking specifically about WTC7 from here on. How is fire, plus structural damage a ‘less likely’ explanation? We know both a fire and structural damage took place. We have clear evidence for this. We don’t have evidence for any alternative. We also know that those conditions are sufficient to cause a collapse. I’m not sure where you’re getting ‘less likely’ from. I know you said you don’t want to come accross as a kook, but it feels like you’re now playing ‘God Of The Gaps’ here:-) To recap, first you wanted info to debunk a controlled demolition narrative. This was provided, then you wanted an explanation as to how WTC7 fell, this was provided – now it’s ‘secondary neutral sources’. Are you sure you just don’t want something else to be true? I don’t think that’s entirely fair GS and surely this ‘god of gaps’ concept could just as easily be applied to your approach? 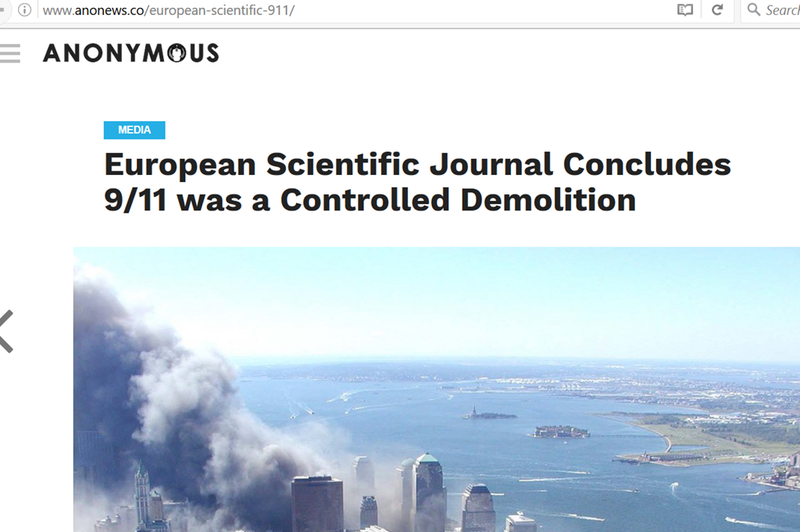 Your article correctly established that a peer-reviewed scientific journal had NOT concluded ‘controlled demolition’ and that the ‘conclusions’ in the article are ‘speculation’. But you then asserted that the ‘evidence’ these authors presented has been thoroughly debunked and provide a link to a blog article in support of this claim. 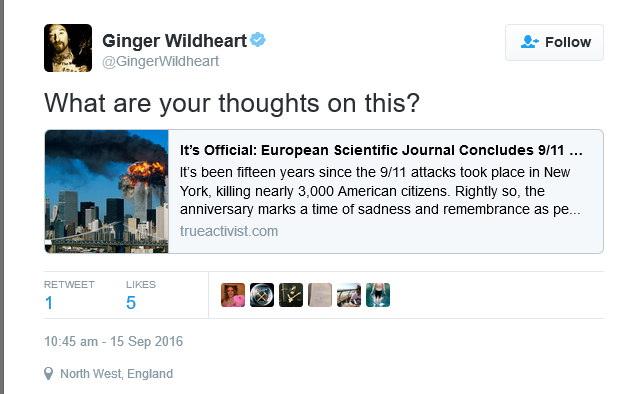 Given that you’d just admonished EPS for publishing a ‘pseudoscientific article of previously debunked 9/11 tropes’, I was a bit surprised by the quality of the citation you provided in support of such a grandiose claim. 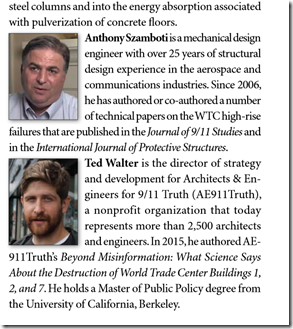 The anonymous authors of your blog didn’t address the building 7 collapse. which is why I asked you, in good faith, to signpost me to a peer reviewed source that proved how it fell (thus disproving controlled demolition). You signposted me to another independent blog which again neither proved or debunked anything. Third time round you point to wikipedia citations which essentially rely on the NIST report and, having read a significant amount about it over the past week, I’m satisfied that there are major issues with their findings. 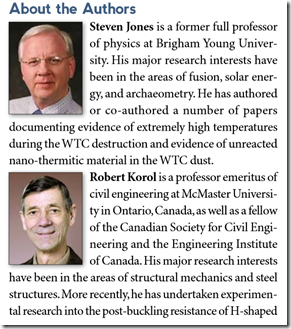 To name just three, they couldn’t repeat their hypothesis in laboratory conditions, their computer model of the WTC7 collapse looks nothing like the video evidence and, bizarrely, their models have never been adequately peer reviewed because it might ‘jepordise public safety’ to release the data! I accept that where there is insufficient information to prove a proposition be either true or false it makes more sense to look for more information rather than claim something is true simply because it hasn’t been proven false. Do You? To be honest GS, I’m beginning to think that the strength of your assertion on this subject has been corrupted by circular reasoning. Thank you. I haven’t had a chance to read some of the citations but this looks like a much more convincing document. I don’t wish to appear ungrateful but I wish you could have pointed to this is sooner! Anyway thanks again.